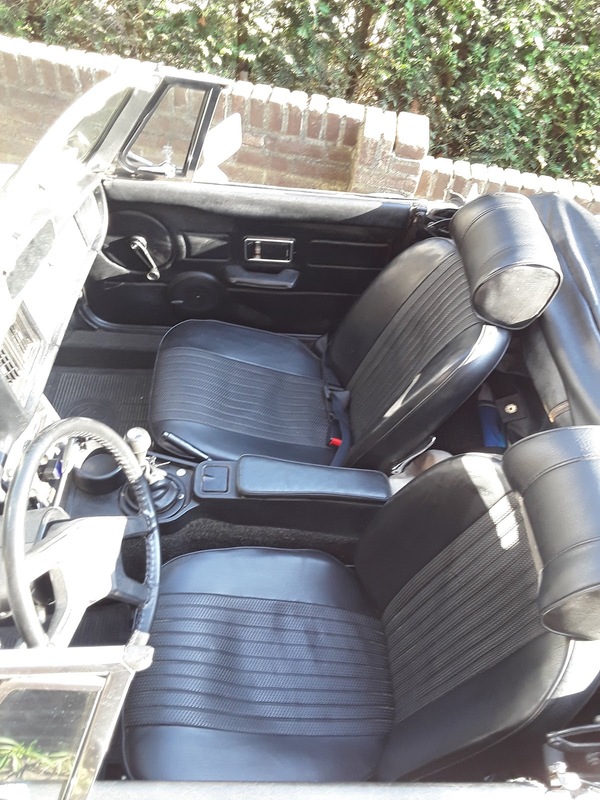 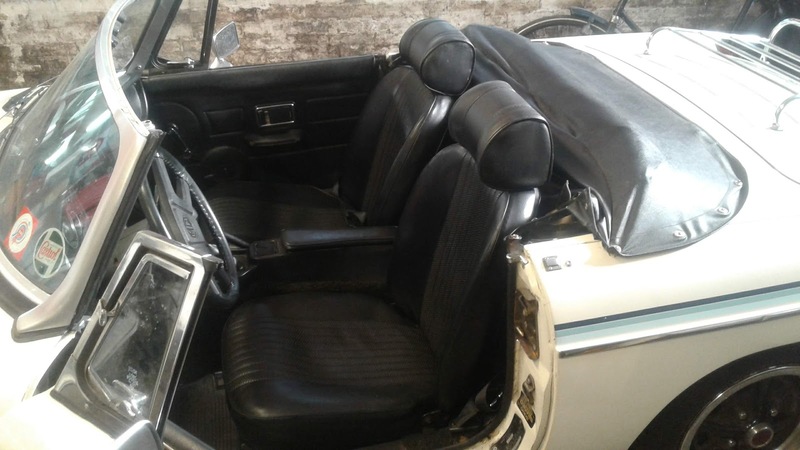 I didn't realise how bad the seats on our Californian mgb were until I took the covers off. I was lucky to find these nice seats. 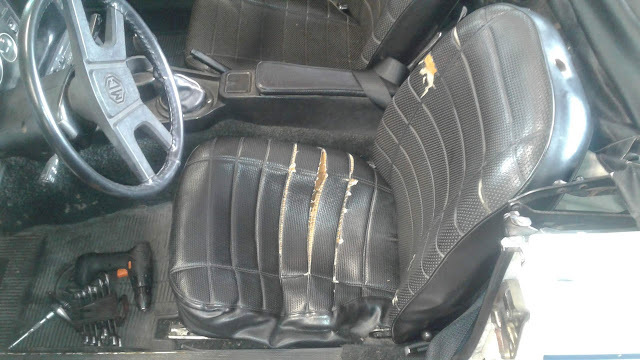 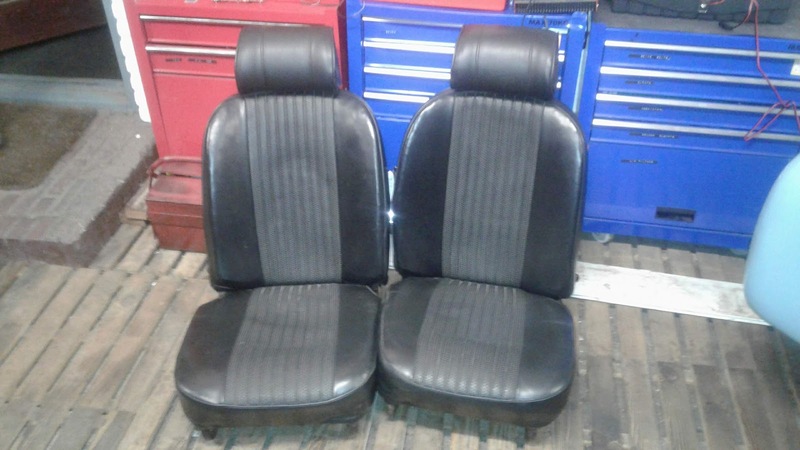 Advertised by someone who had changed to aset of new leather seats. They suit our car perfectly. 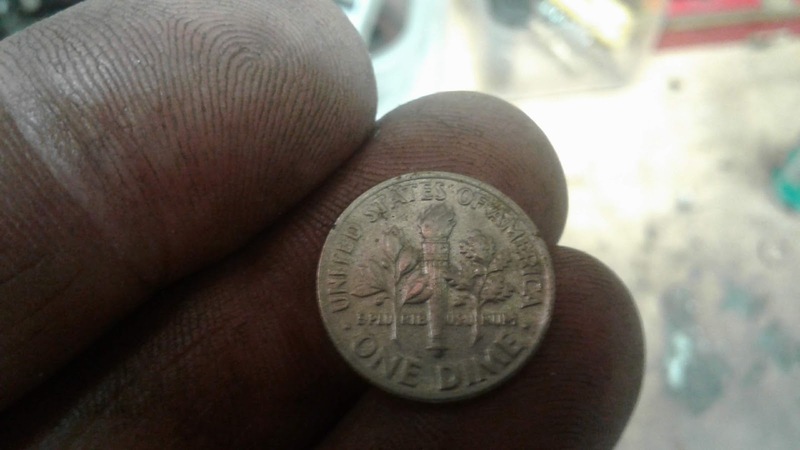 Someone even left a U.S. Dime for me to find under the seat rail.